What's one way to make us swoon and get children learn at the same time? Pair Benedict Cumberbatch with the Muppets in the most charming video ever, of course. The British Sherlock actor and Oscar contender for 12 Years a Slave appears with a pair of "Sesame Street" Muppets in a video on PBS' YouTube channel. The video is intended to help kids learn how to count, but hey, we all need a refresher when it comes to counting fruit, right? And it's even better when it's demonstrated by a man with a devastatingly charming British accent. 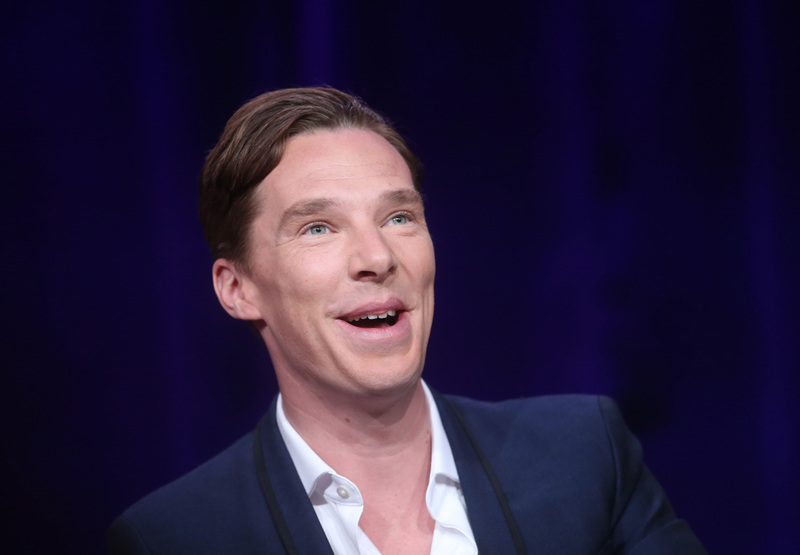 The video features Benedict Cumberbatch and two Muppets, and was released on Tuesday. Cumberbatch gets a little help from Count von Count and Murray Monster, who insists that his name is Murrayority (Moriarty) for the Sherlockian occasion. Cumberbatch repeatedly tries to get Murray to believe he's not the real Sherlock Holmes, but is just an actor, and doesn't have an arch nemesis named Moriarty in real life. Ha! You can't fool Murray. Cumberbatch is tasked with a "brain-bending challenge" of counting four apples and three oranges, and deciding which fruit has the greater number. He decides he needs some help, and Murray asks if he's going to call in Watson. Since Watson wasn't available, the Count did just fine with counting the fruit and determined Cumberbatch to be "one smart man." Cumberbatch taped the video in January, when he was promoting Sherlock with actress Amanda Abbington in LA, and told her all about it. "I just met with the Muppets," Cumberbatch says. "It was so much fun. They are real."